The Nashville Predators have depth throughout their lineup headed to the post season. One reason for this is the young talent on their roster. The young players who have helped this team get where they are by contributing in the regular season, look to be a huge part of its playoff hopes as well. 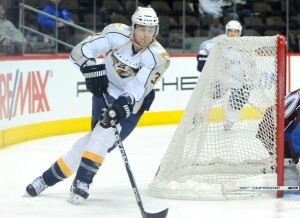 Colin Wilson is one of the budding stars the Preds look to get contributions from in the Stanley Cup Playoffs. 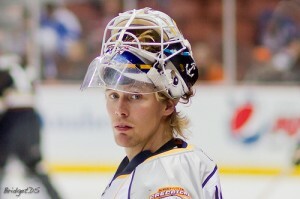 Wilson(22) was selected by the Predators in round one, eighth overall in the 2008 NHL Entry Draft. He spent two seasons with Boston University, scoring 29 goals and 90 points in 80 games from 2007-2009. The graduate of the US National Development Program split 09-10, which was his first pro season, between the Preds and Milwaukee Admirals of the AHL. Last year he played in all 82 games with Nashville and recorded 34 points. This season, the Connecticut native played in 68 games and scored 15 goals, 35 points, and was a +5. Another 22 year old has emerged as a player to watch for Nashville this year, Craig Smith. Smith spent 3 seasons in the USHL with the Waterloo Blackhawks before heading to the University of Wisconsin. In two seasons with the Badgers, Smith tallied 27 goals and 76 points in 82 games. The Wisconsin native spent the entire season with Nashville as he recorded 14 goals and 22 assists for 36 points in his first pro season. He showed how valuable he can be as he scored the game winner and added two assists in the regular season finale.